About 9 months ago, FATCATLAB posted a Kickstarter for an EV3 cape for the BeagleBone Black, an open source embedded Linux computer created by Texas Instruments. Their product was called the EVB. It was successfully funded and kits shipped out a few months ago. I received mine a little while back. Generally I prefer using an EV3 brick, but I have loaned a bunch of my EV3s out to a local school district for training for FIRST LEGO League as they were awaiting their shipment of EV3s from LEGO Education. So I have been working on the Beagle and while it compiles I cant help but continue to play with some electronics. I have finished constructing (and basic electrical testing). This is built off of 1 Launch Pad, 2 linear power regulators and a Sharp IR distance sensor. I have a dual motor gearbox (taken from the myDAQ bot) and a battery box to provide power and locomotion. The photo here is just the electronics (and a wiring mess). I have some work to do still with respect to programming, but it does generate the required signals to move. I will be posting a schematic with the video later this week. (Following the NXShield video.) I will mount the Launch Pad better when I add the motor and battery pack. Let me know what you think! In addition to NIWeek, I have a few new projects in my queue. After a busy week and a lot of LEGO, I will be taking a (short) break to explore some new toys from Texas Instruments. 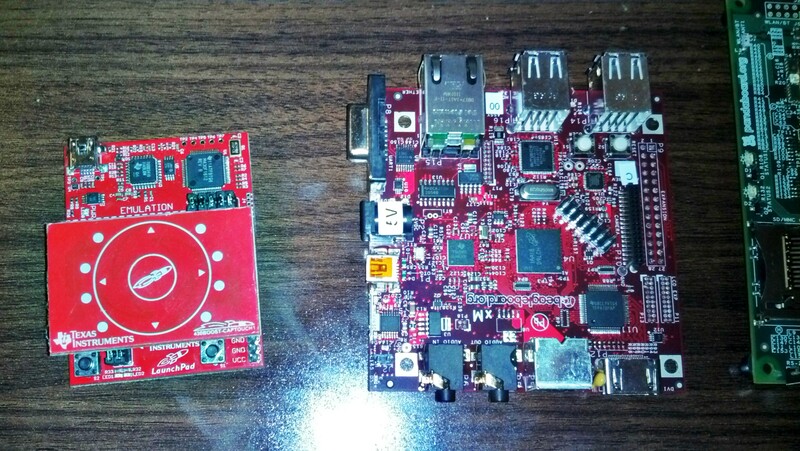 Right, you will see the new Panda Board designed by Texas Instruments. The board is an open source design featuring the TI OMAP 4430 (same as in the Droid 3 and Droid Bionic). Furthermore the OMAP featured on this board has much of the RF built into the single piece of silicon. 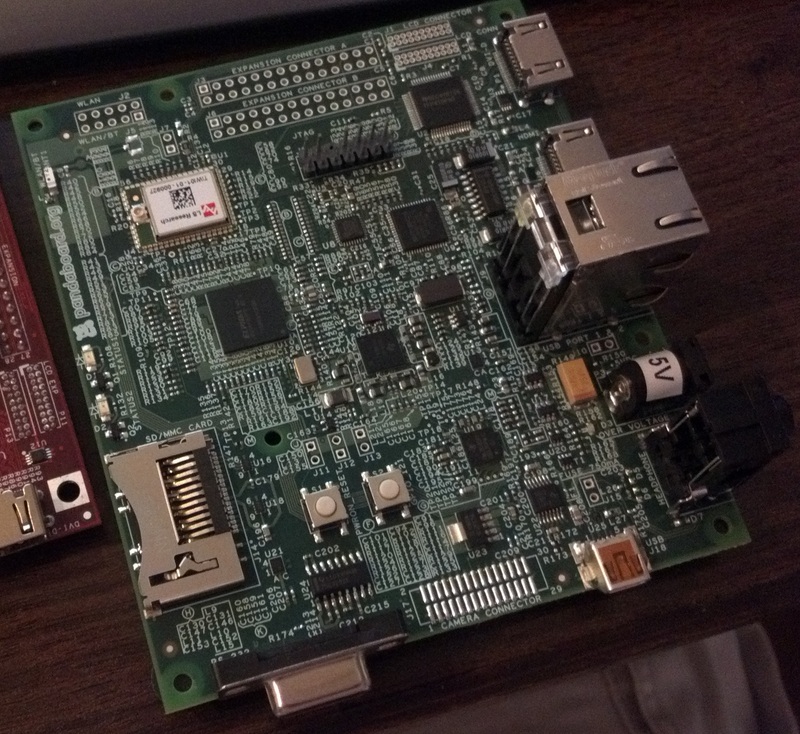 The board can run Ubuntu and Android. I plan to make a thin VM to target the board from LabVIEW (similar to LabVIEW for Arduino). The next two boards from TI are equally awesome! First up is the smaller TI Launch Pad with Cap Touch Booster Pack. 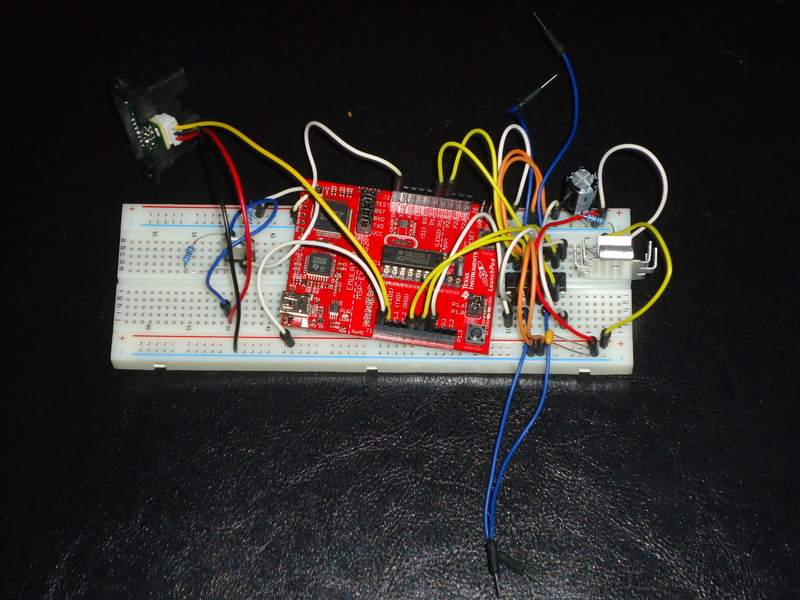 This addon contains a capacitive touch board and a new MSP430 to interface with it. It has a built in proximity sensor and is pretty cool to play with. Over the next few days I plan to experiment with it and see what ideas I come up with. The last board to join my army of embedded (soon to be robotic) projects is the Beagle Board. With a community of over 50,000 members, the Beagle packs an ARM Cortex A8 and can run several variants of Liniux. I plan to get LabIVEW working on this board as well, but what is more important is that this board integrates nicely with daughter boards, bringing the power of the Beagle to new heights. Expect to see some code in the next few days. I want to thank TI for these boards and helping me to continue my hobby. TI makes amazing digital and analog products that are great for building cheap low power projects. For example a Launch Pad costs $4.30 from the TI eStore. And just in case you were wondering, I have a lovely bot built from the NXShield from Mindsensors.com. I plan to shoot a video this weekend and post it later next week. NIWeek Day 3 – And thats a wrap! Day 3 brings NIWeek to an end. What an amazing time to get out and meet fellow engineers. This year was super exciting as I got to see some old friends and make many new ones. Among these were people from Intel, Xilinx, and TI. Besides saying good bye to all the people I met, Day 3 also featured a keynote from Storm Chaser Tim Samaras. Tim has been featured on The Discovery Channel and is truly passionate about what he does. Not only does he chase tornadoes but he has also made several inventions that capture lightning in never before seen ways. I cant wait until NIWeek 2012. It always amazes me to see all the innovation and excitement this event generates!